Laminate Clearance Sale - Carpets Direct Ltd.
Just arrived from one of our manufacturers in Germany, container of laminated wood flooring. Due to the large volume purchased, we can offer this to you at a massive saving. 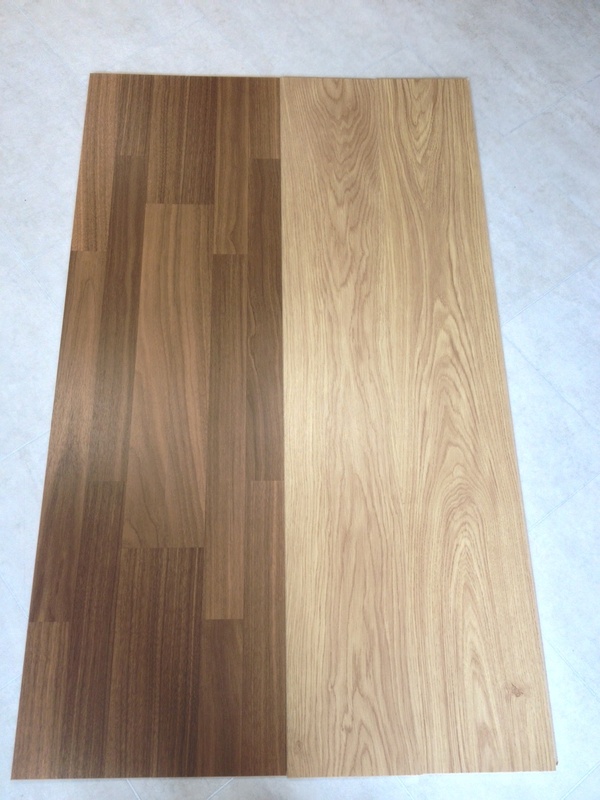 This laminate is reduced from the normal retail price of € 11.00 per square yard to €5.99 per square yard. It is manufacturered with a strong laminated backing and dense core layer, with edges that snap snugly together and stay locked. A well-printed hardwood Walnut and Oak reproduction with an ultraviolet treatment to help prevent surface fading. A glue less click system with easy installation, ideal for the DIY enthusiast. With excellent wear ability and the added bonus of being hygienic and easy to clean. This offer is a one off internet take away offer only while stocks last. Please call to our showrooms in Little Island to see this product for yourself and our trained staff will be happy to help you. when you visit our new showroom right beside An Post!